Garlic Escapes: Happy Birthday Ulf Ekberg? 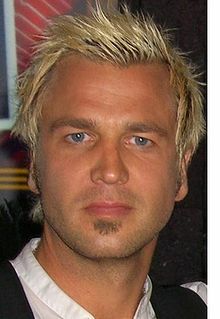 Ulf Gunnar Ekberg, one of the founding members of the Swedish rock group Ace of Base, turns 40 today. In a geographically-related item, Swedish farmers claim that draping garlic around the necks of their cows protects them from trolls. Grattis på födelsedagen, Ulf (congratulations on your birthday) and Lycka till (good luck) with the livestock.